myOSIsoft is where you can manage your interactions with OSIsoft, all in one place. 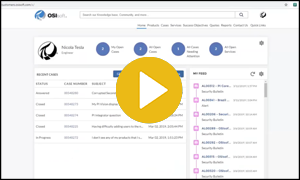 The biggest tool in that arsenal is the OSIsoft Customer Portal where you can interact with support cases, manage who has access to support and the portal, download products and conduct integrated searches throughout OSIsoft's resources. We are excited to share with you our new OSIsoft Learning experience designed to make it easier for you to succeed. Have Ideas on how we can improve? Don't have a login yet? Take a look at what OSIsoft Customer Portal has to offer!